During the episode, a picture of a twin engined meduim bomber appears behind the panellists. 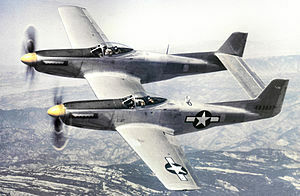 Allen comments that it is a De-Havilland Mosquito, which is incorrect, as the Mosquito had a twin tail boom. However he was correct when stating that the Mosquito was constructed out of wood. 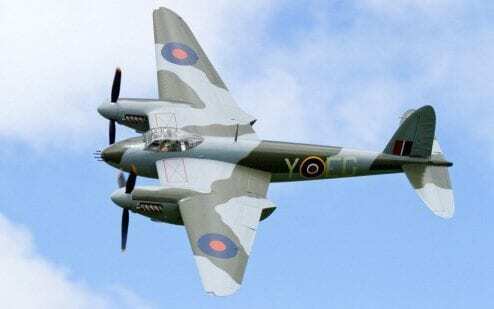 Didn't see the programme, but the Mosquito has a single fuselage and a single fin/rudder which, when combined with the non-counter-rotating engines, made it rather tricky to keep straight during take-off. I was probably thinking of the De-Havilland Vampire or the Lockheed P-38 Lightning. Ah - well the lightning was all-metal of course, but if it was a Vampire (although it's a single-engined jet) it could have been an interesting discussion point because it's one of the few jet aircraft with significant amounts of wood in the structure. Is this the start of a Allen Apocalypse?